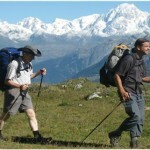 Walking poles or hiking poles are very beneficial especially to seniors who are going to go on a hiking adventure. 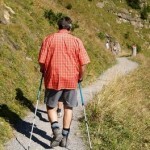 Walking poles are very useful in evenly distributing the weight of the whole body and the shock to both lower limbs. 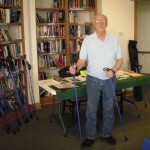 Instead of the lower extremities to bear all the weight and shock during the impact of walking, walking poles can help in absorbing some of the weight and shock, and walking poles can also stimulate or put other upper body muscles into use, thus relieving too much pressure and weight from the lower extremities. 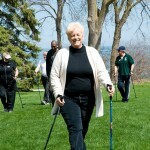 Walking with walking poles can bring immediate benefit or advantage to the hips, knees, and even ankles in whatever walking activities seniors and other users engage in. Not all walking poles come with an anti-shock feature. 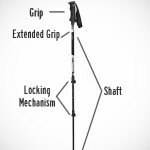 And in fact, walking poles with an anti-shock feature or anti-shock system are way more expensive than using ordinary and no anti-shock walking poles. 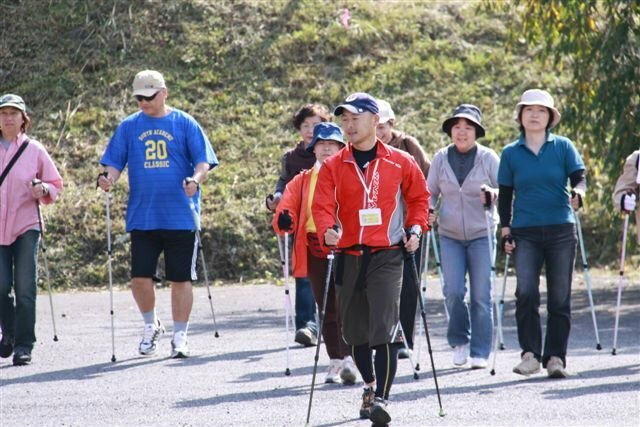 The anti-shock feature in walking poles are referred sometimes to as shock absorbers, since it helps in absorbing the impact of the walking pole as it strikes to the ground as the user walks. The anti-shock system works because there are springs attached or placed internally to the walking poles that can provide extra cushion and absorbs extra shock during walking. Aside from absorbing extra shock from the impact of the walking pole as it strikes or hit the ground, there is still one more important benefit or advantage walking poles with anti-shock system can offer. 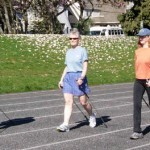 The advantage I am referring to is that walking poles with anti-shock system can help in decreasing or relieving strain on the arms and shoulders during walking activities. Walking poles will greatly make us of upper body strength, thus exerting more effort to the shoulders and arms. The anti-shock system in walking poles will be most important when walking downhill. The absorption of extra shock and providing of extra cushion will be of great importance when walking or following trails that are downhill. However, if you are going to walk uphill, you may want to lock out the anti-shock system or feature from your walking poles. Instead of anti-shock system will make your walking easier, the anti-shock system when used uphill, the mechanism of action will actually work against you. It can possibly cause more strain and pressure to users’ arms and shoulders, which will not do users any good.